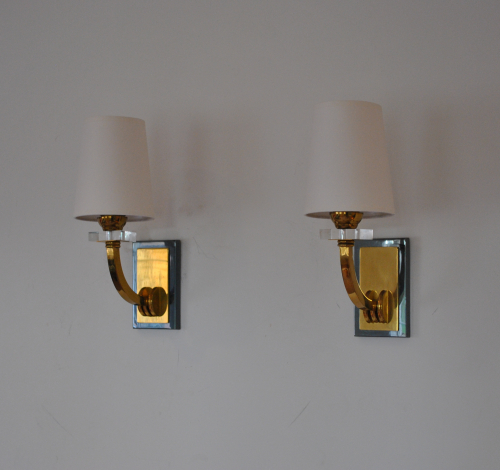 Brass, glass and gunmetal pair of wall lights. In the style of Jacques Adnet. Custom made cream off-white shades.